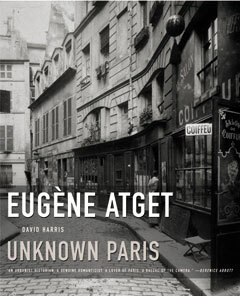 For thirty years, Eugène Atget photographed the historic core of Paris, its buildings and monuments, its ancient streets and civic spaces, its public parks and gardens. With the exception of his earliest photographs, he chose not to represent a particular site by a single, definitive photograph but produced sequences of interrelated images that create a cumulative portrait. A collection of case studies of archetypal urban settings, this book examines Atget’s approach to photography. It features 240 of his photographs—nearly all of which have never been published—assembled to display the integral relationship between the photographer’s working method and his subject matter, revealing the character of Le Vieux Paris itself. A natural companion to the New Press’s Berenice Abbott: Changing New York, Eugène Atget is the product of an exhibit mounted in response to Abbott’s work and reflective of the two photographers’ shared vision.